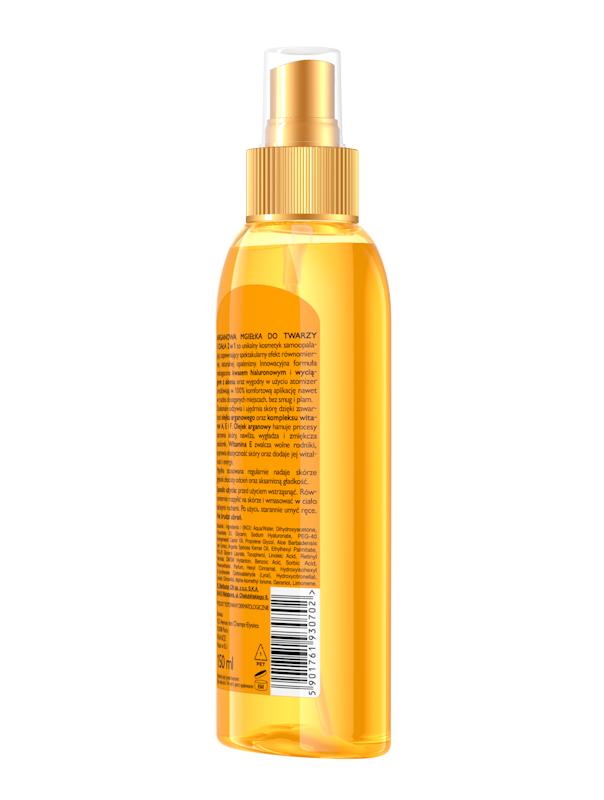 Self tanning body mist for face and body 2in1 is a tinted bronzing mist gives you a gorgeous, natural-looking tan effect without streaking. 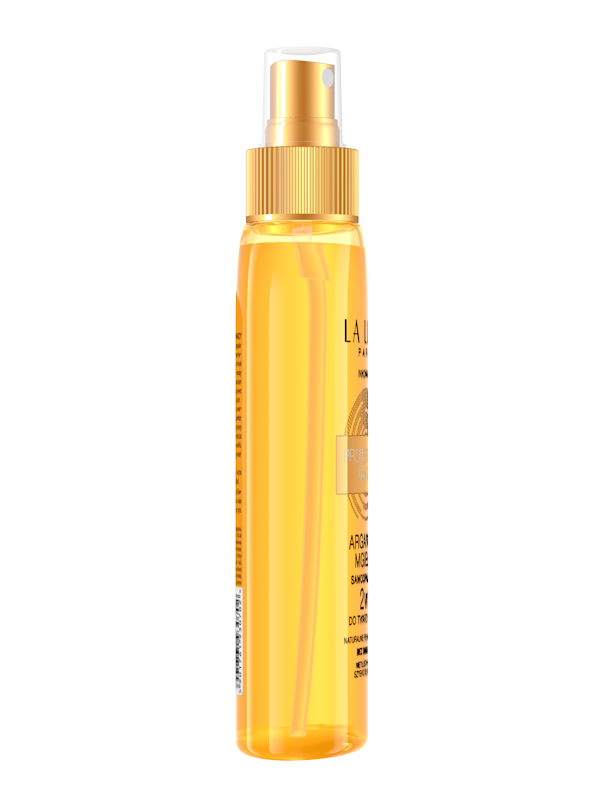 Innovative formula enriched with hyaluronic acid and aloe extract, easy to use atomizer promotes 100% comfortable application, even in hardly available places, with streak- free finish. 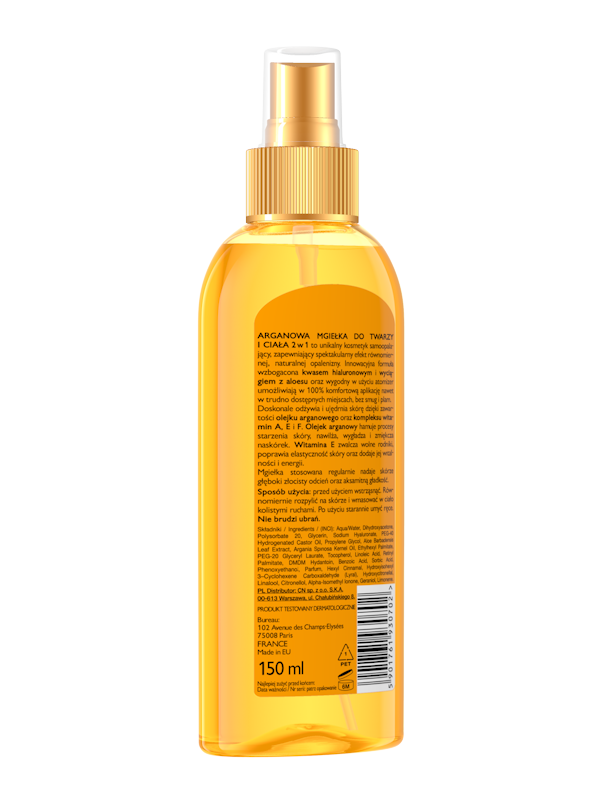 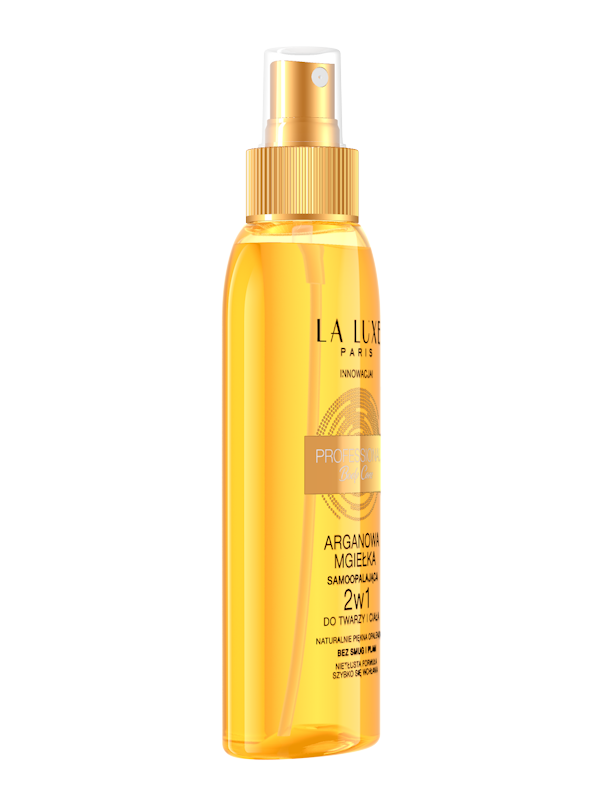 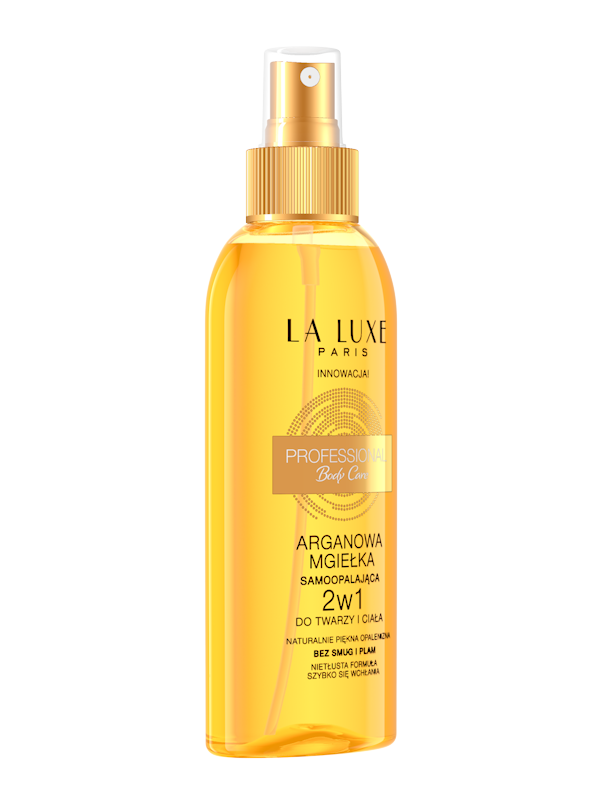 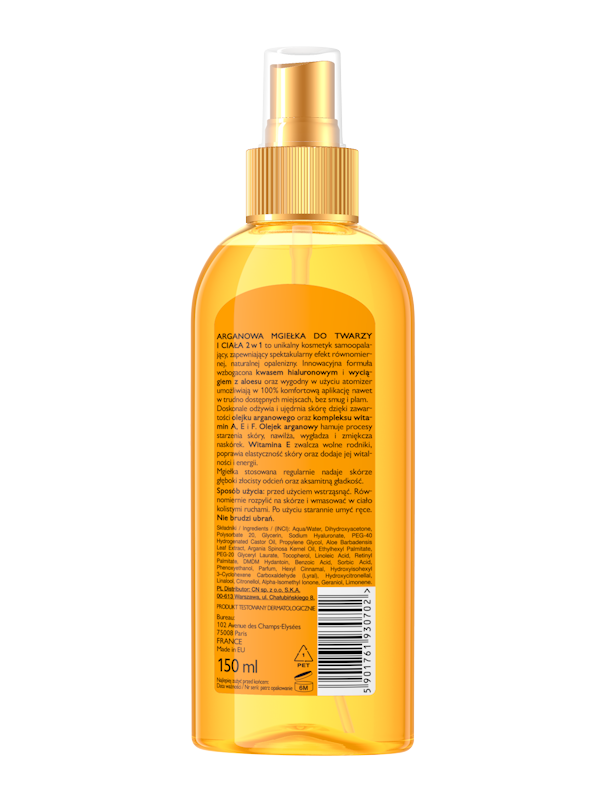 This product is enriched with argan oil and vitamin complex A, E and F to moisturize the skin. 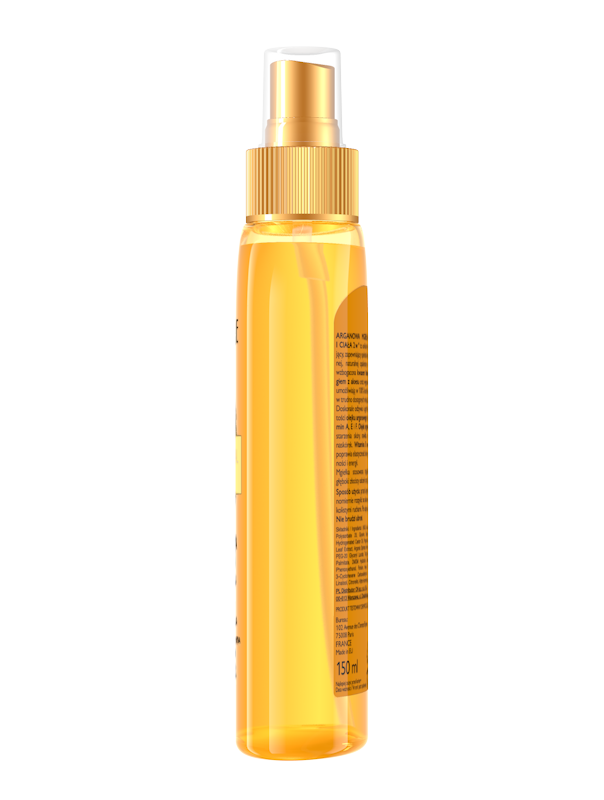 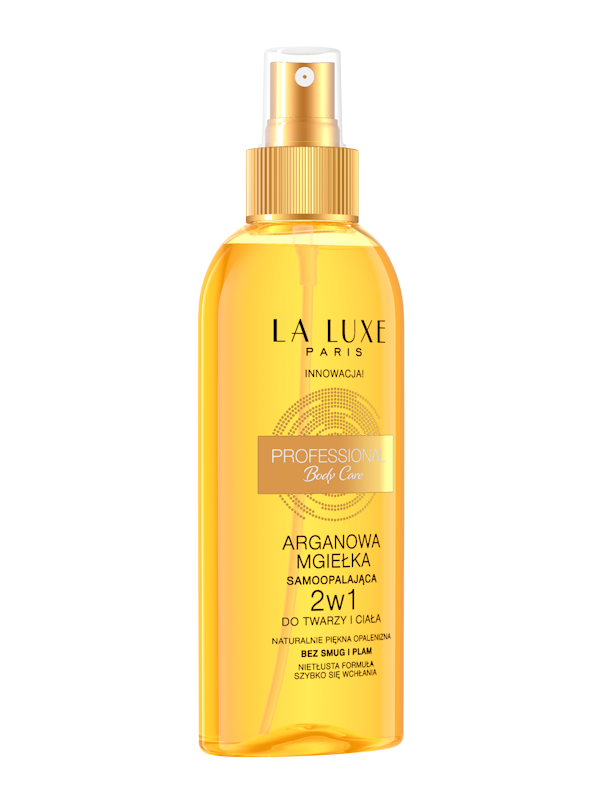 Argan oil inhibits the aging processes, moisturizes, smoothes and softens skins. 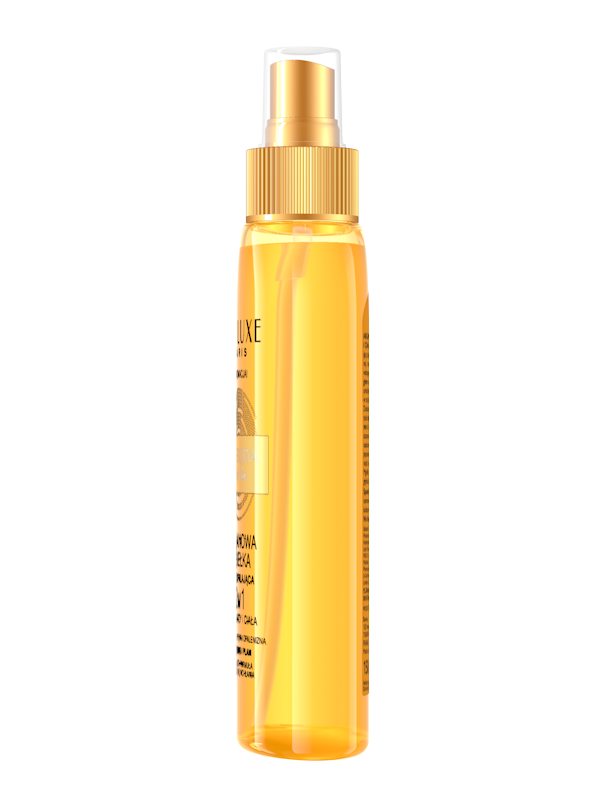 Vitamin E fights free radicals, improves skin elastic, adds vitality and energy to the skin. 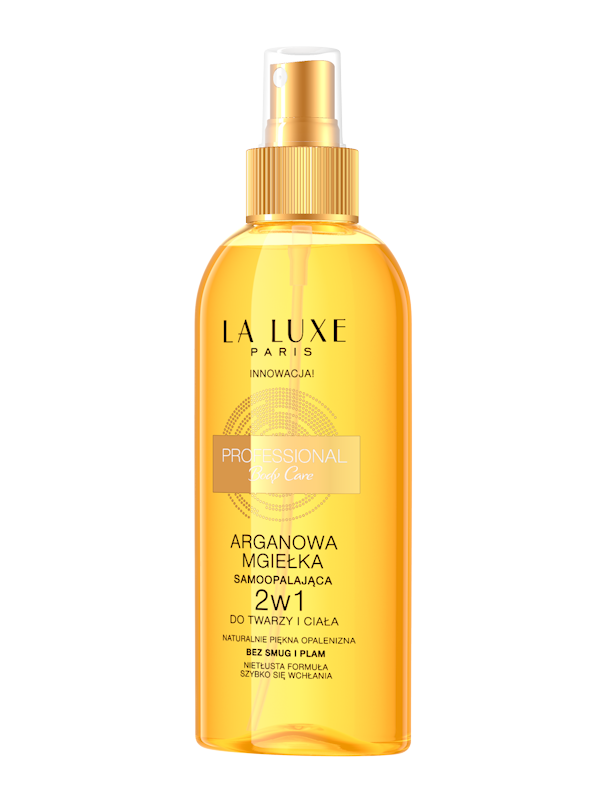 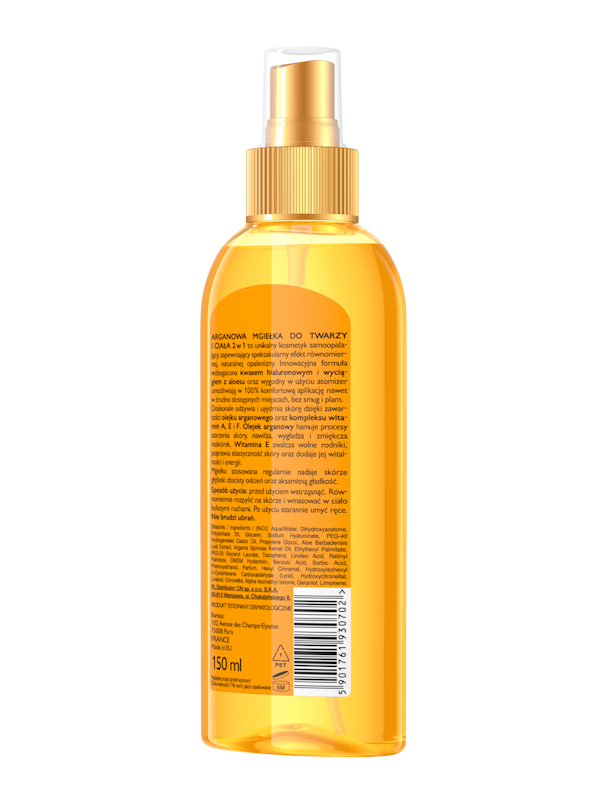 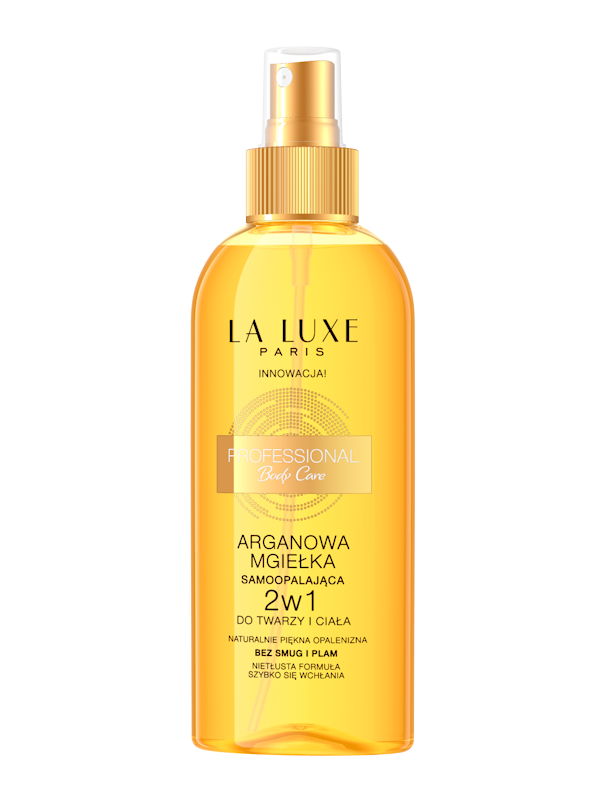 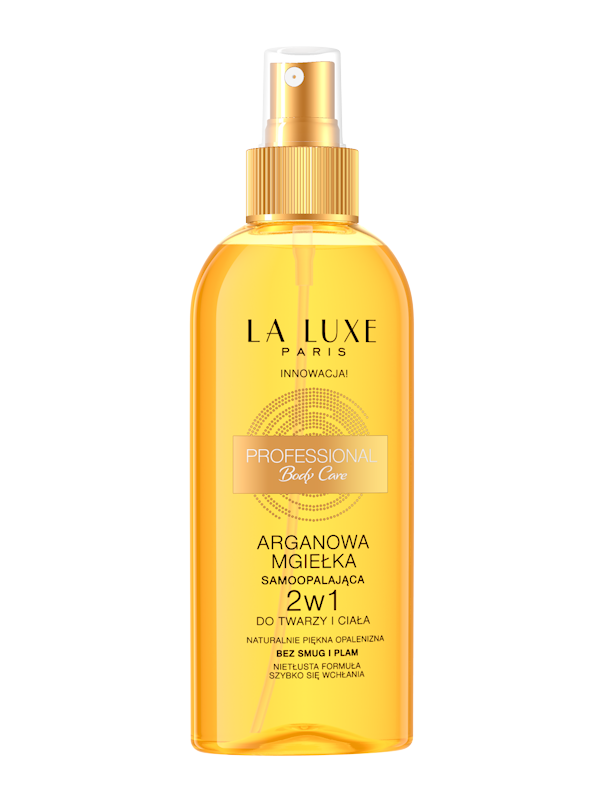 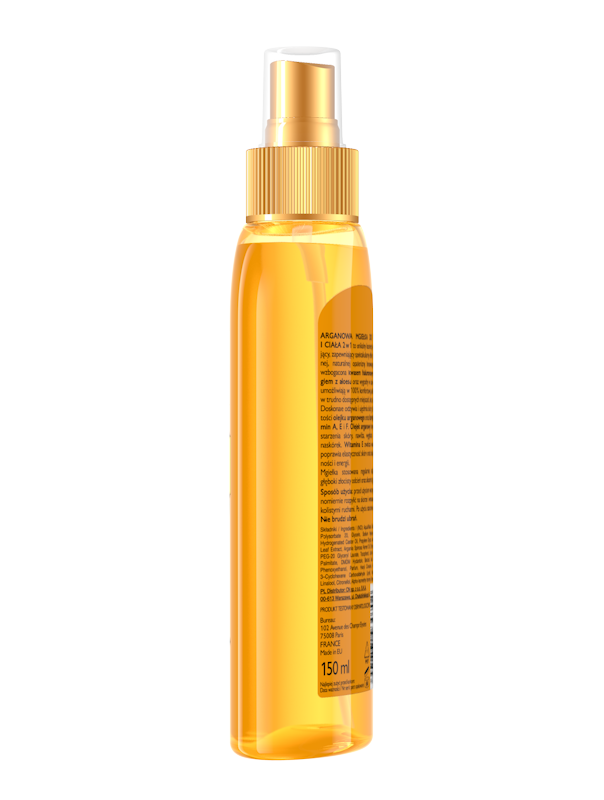 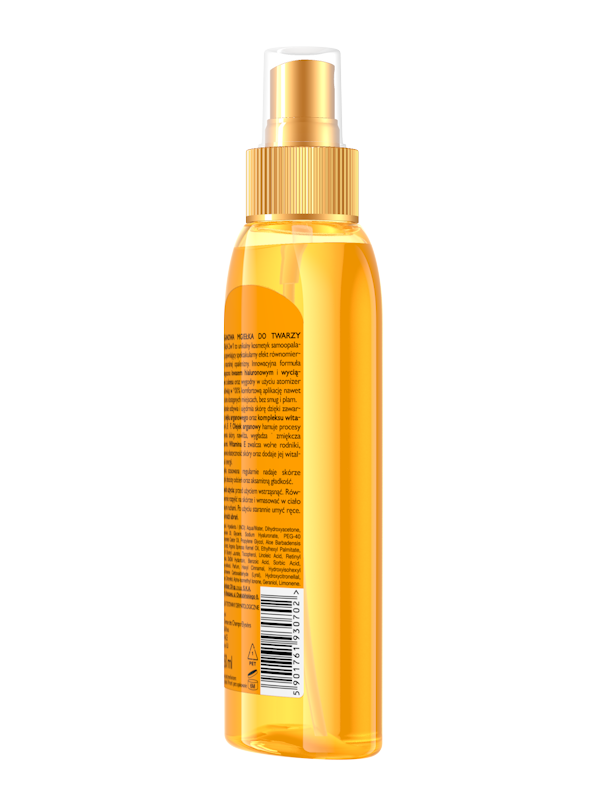 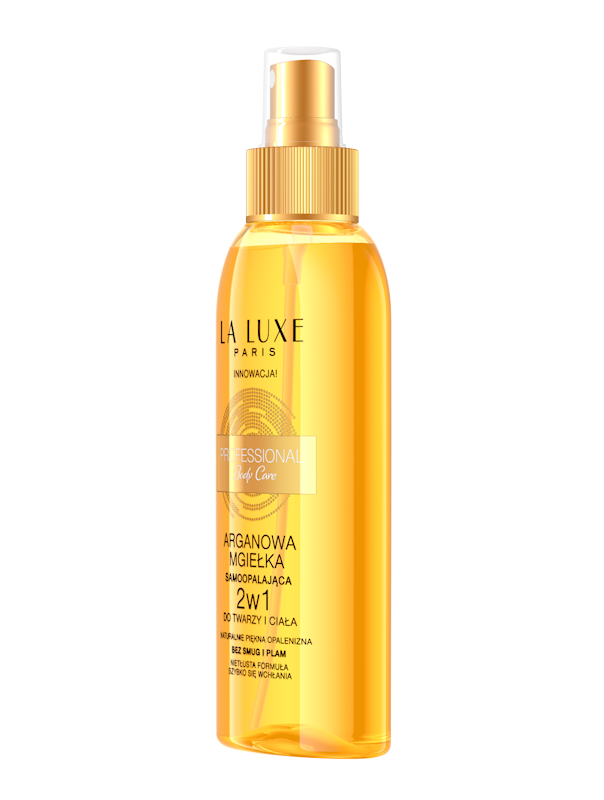 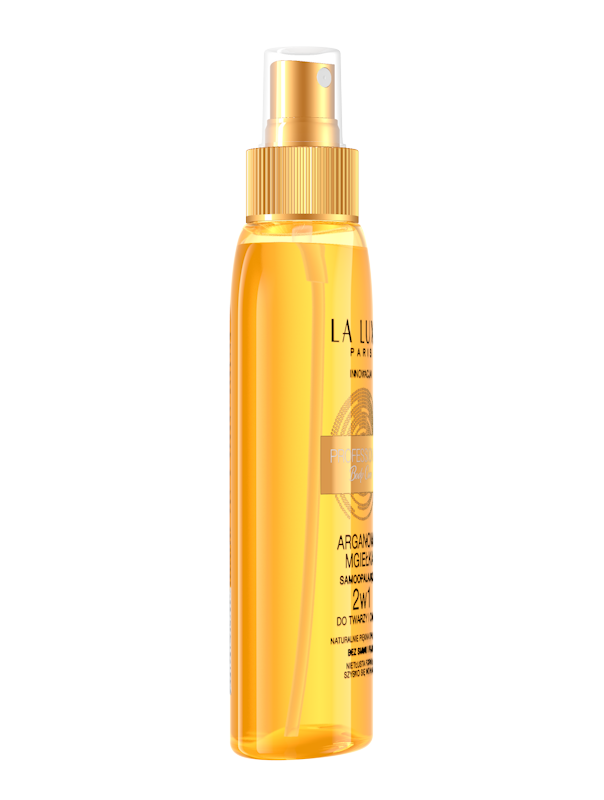 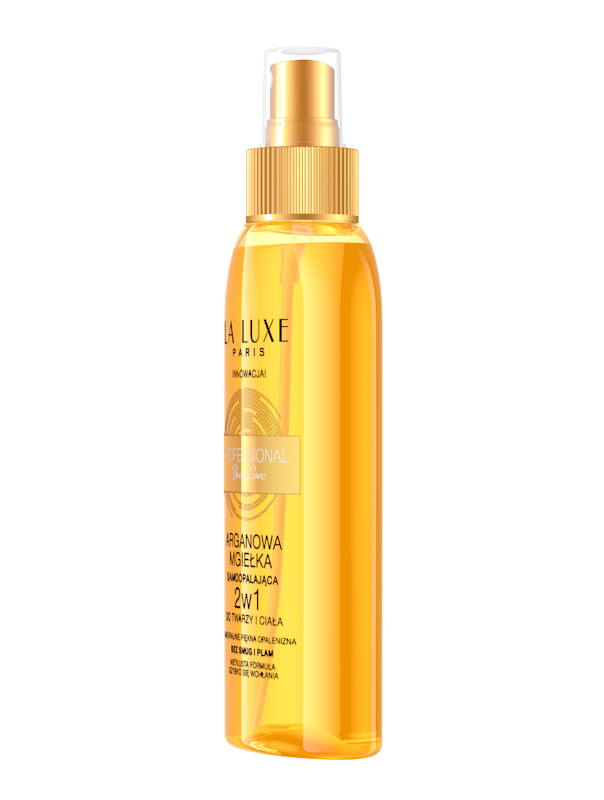 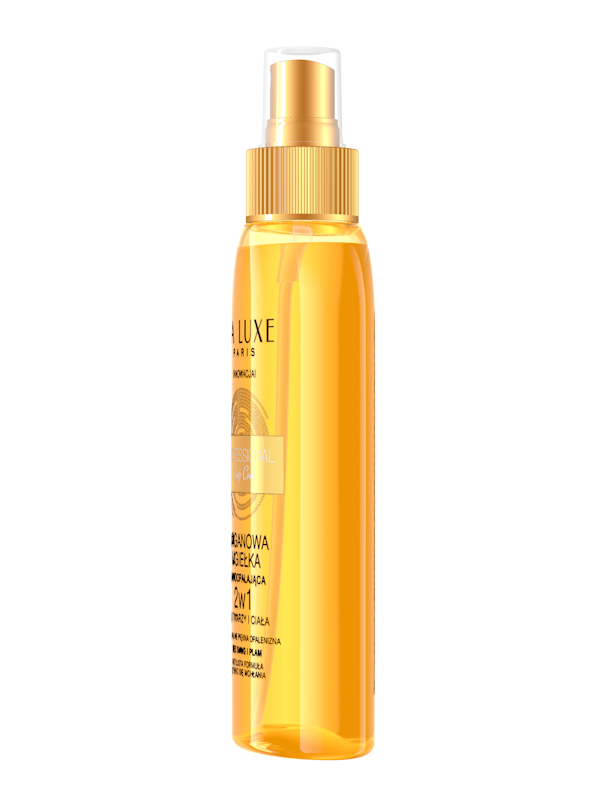 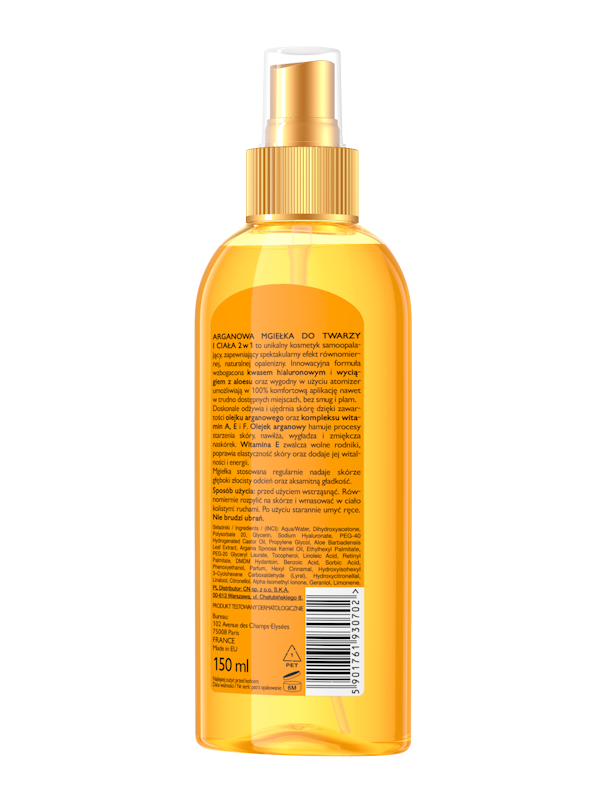 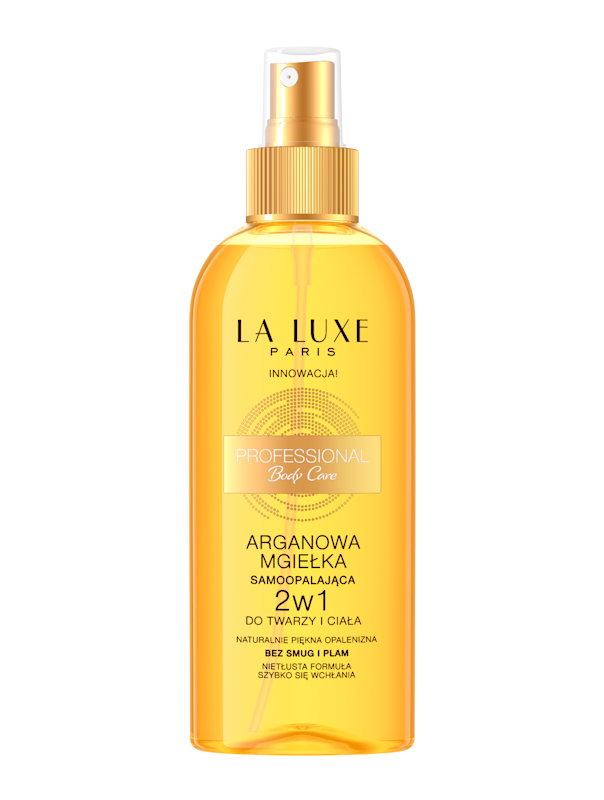 Body mist, while used regularly, leaves skin beautifully tanned and amazingly nourished. 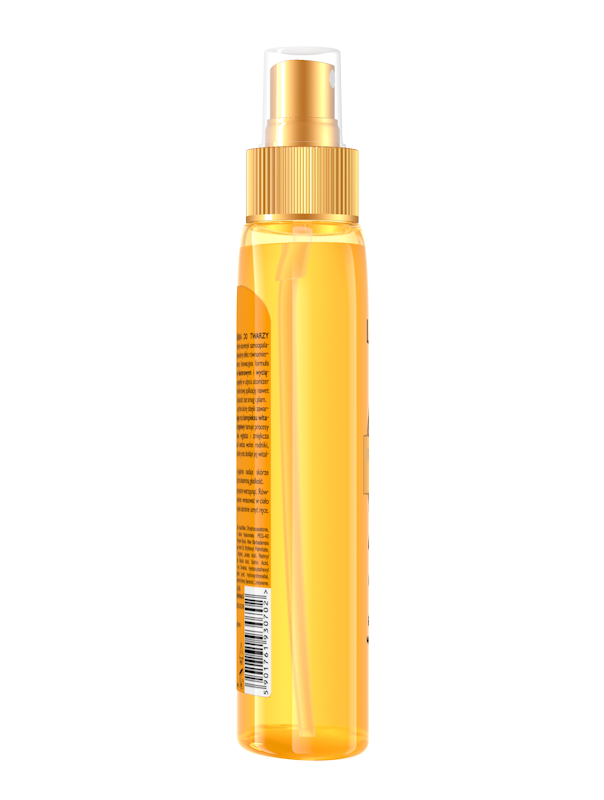 How to use: shake before use. 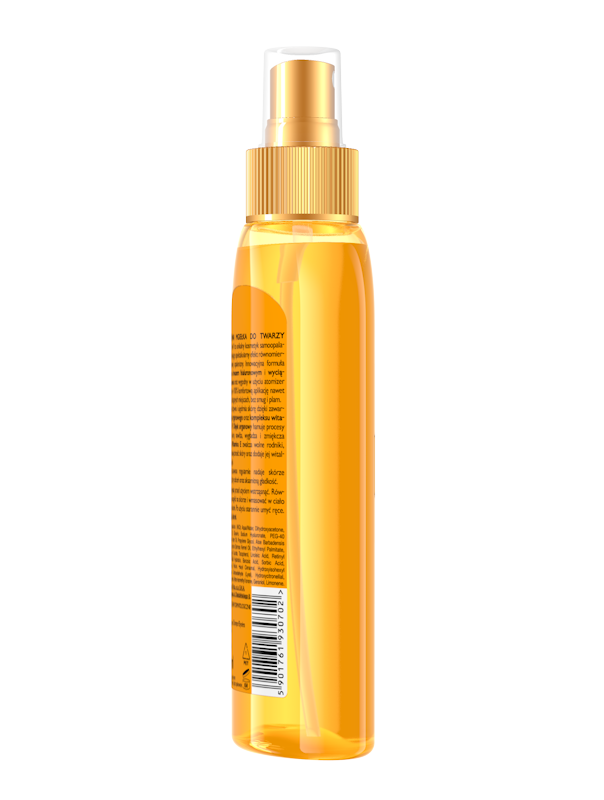 Spray evenly and message wit circular movements. After use wash your hands. It leaves your clothes clear.